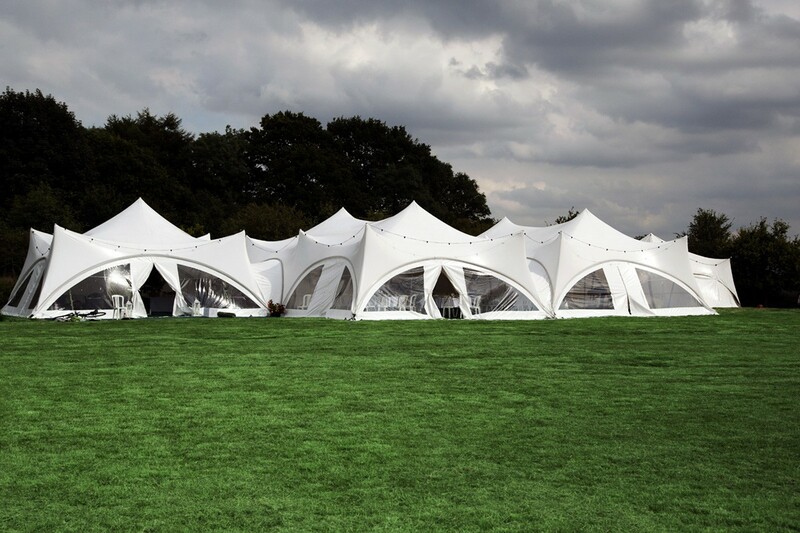 2 x 30ft x 40ft trapeze marquees with a 20ft x 30ft entrance all carpeted, with natural flooring and lighting throughout. 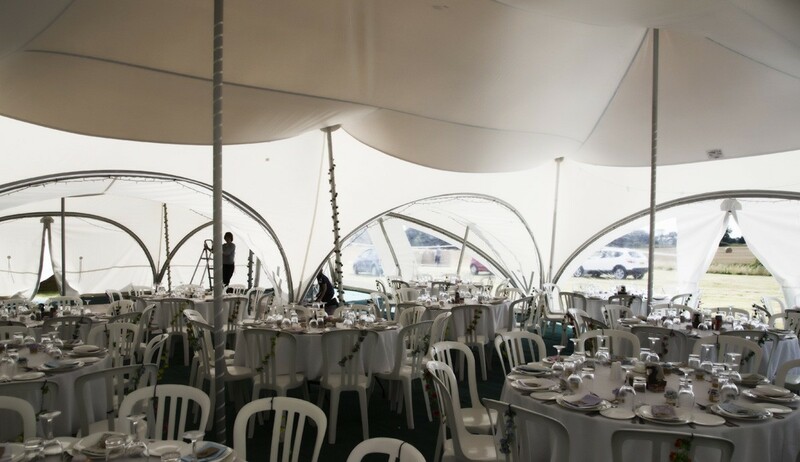 A catering tent was also provided. 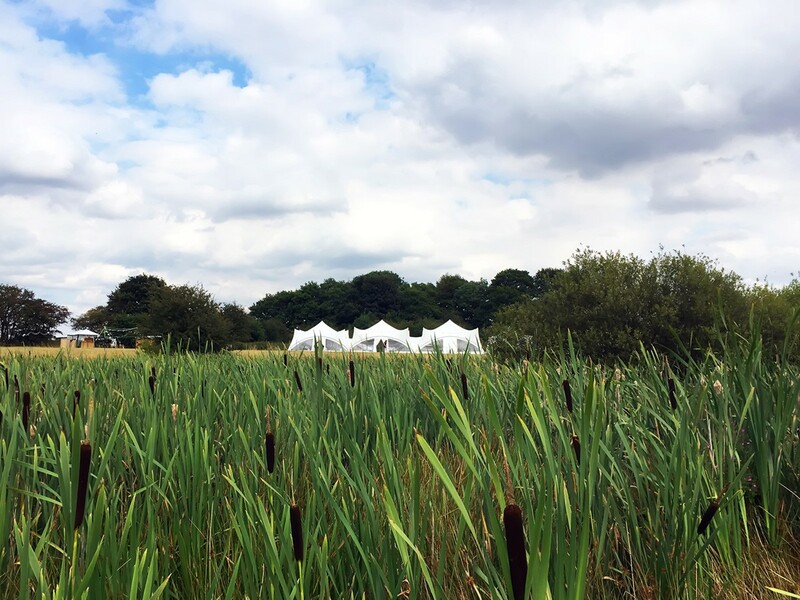 120 guests sat at 5ft round tables with bistro style chairs, Marston Moor Marquees supplied luxury loos, generator, bar, table linen, heaters and dance floor. 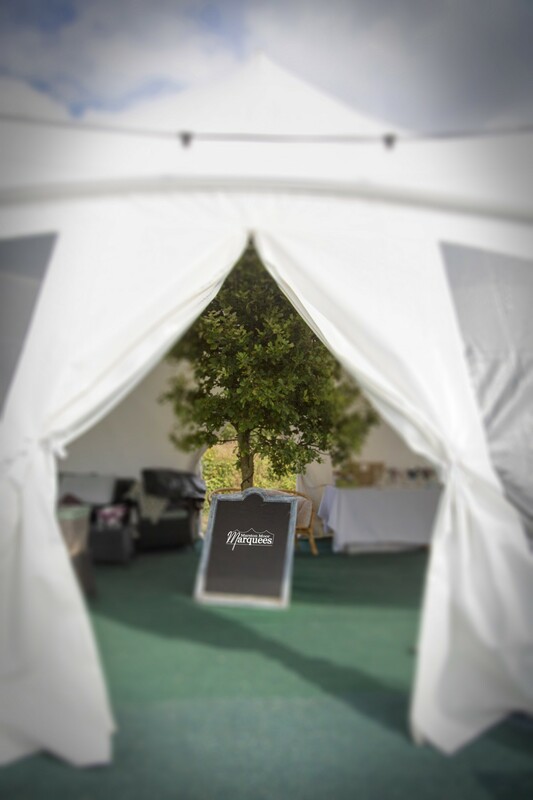 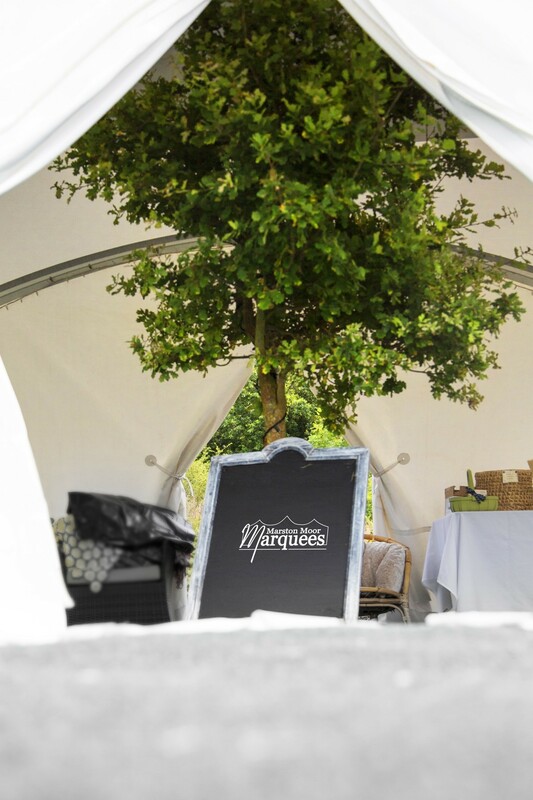 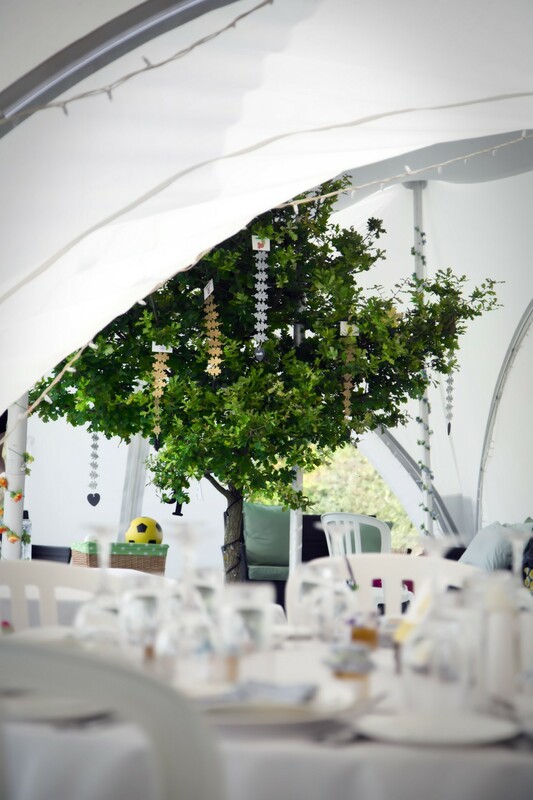 The marquee was constructed around a tree in the paddock which provided a fantastic feature in the centre of the set-up. 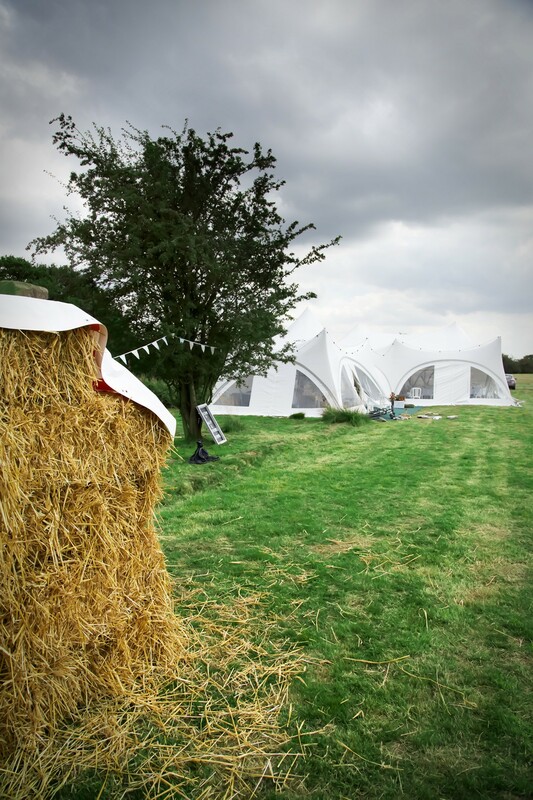 see our gallery photos.